Though traditionally presented in strict gallery format, the advent of social media and pocket-sized technology has given art a proper change of venue, taking it out of a formerly sterile environment and injecting it into our public and private spheres, designating us as key-holders and creators. But along with this shift comes the truth that nothing is sacred or secret anymore – if you have any doubts, just ask the NSA and GCHQ. 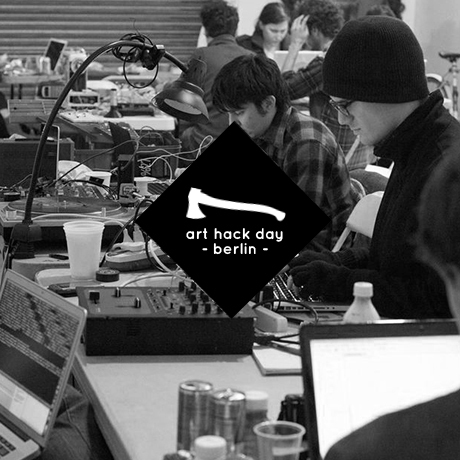 With Art Hack Day, dozens of artist and hackers join creative forces in an effort to deconstruct, subvert, and obscure the relationship between art and technology. Already, parallel events have been organized in Stockholm, New York City, San Francisco, and Boston; and here in Berlin, the theme of next year’s transmediale 2014 will work with the idea of “afterglow,” but “Going Dark” is the first step to see the remaining light. LEAP, Karl-Liebknecht-Straße 13, 10178 Berlin; S + U: Alexanderplatz; admission: free.